RS Prasad further requested the Parliament that the matter should not be looked through the prism of politics. Discussion on Triple Talaq Bill in Lok Sabha Live: The Muslim Women Bill (Triple Talaq) 2018 has been passed in the Lok Sabha. Discussion on Triple Talaq Bill in Lok Sabha Live: Congress and AIADMK MPs walk out from the Lok Sabha. Discussion on Triple Talaq Bill in Lok Sabha Live: Moved the Bill to ban instant Triple Talaq in Lok Sabha today. This is an effort to ensure gender justice, gender dignity and gender parity, tweets Union Minister Ravi Shankar Prasad. Discussion on Triple Talaq Bill in Lok Sabha Live: AIMIM chief Asaduddin Owaisi said that all muslim women oppose it and asked how can the government criminalise triple talaq? 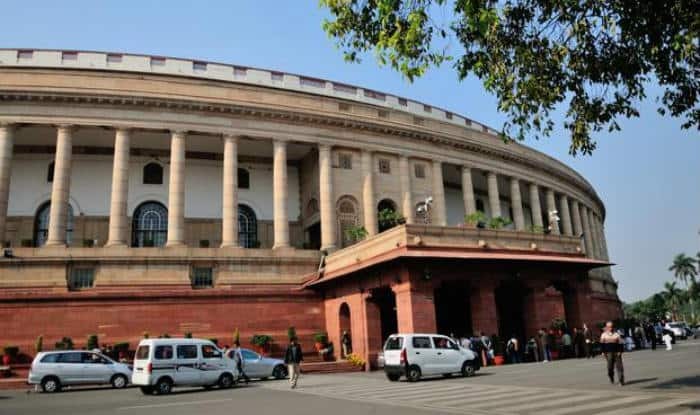 New Delhi: The Lok Sabha on Thursday took up the Muslim Women (Protection of Rights on Marriage) Bill, 2018, for discussion and passage amid protests by the Opposition which demanded that the proposed legislation be sent to the select committee for detailed deliberations. Speaking in the lower House, Congress leader Sushmita Das said that the Triple Talaq bill will penalise Muslim men for a civil offence. Earlier, questioning if Triple Talaq was a part of any suraa of the Holy Quran, Bharatiya Janata Party (BJP) member Meenakshi Lekhi had said that those opposing the banning of this practice must know that this isn’t a “he vs she” but are issues of human rights violation. Prior to Lekhi, Union Law Minister Ravi Shankar Prasad questioned as to why a secular country like India isn’t banning Triple Talaq that has been banned by at least 20 Islamic nations. He further requested the Parliament that the matter should not be looked through the prism of politics. However, Congress leader Mallikarjun Kharge said the matter should be referred to the Joint Selection Committee and a month’s time should be given before taking it up again for discussion as it was an important bill. Calling the ‘Triple Talaq’ unequal in nature, Prasad had previously stated that the matter is not about the differences between political parties but about the welfare of women. The debate regarding the Triple Talaq Bill is likely to continue for four hours, and the Bharatiya Janata Party (BJP) has issued a three-line whip to its MPs to remain present in the Lok Sabha. According to sources, Congress has also issued a whip to its Lok Sabha MPs to be present in the House today. It is to be noted that the Lok Sabha had last week decided to take up the bill on December 27 after the Congress agreed to participate in the debate. Following this, Parliamentary Affairs Minister Narendra Singh Tomar sought an assurance from the Opposition that it would allow discussion on the bill without disruption. Deputy Parliamentary Affairs Minister Vijay Goel had said the government is committed to pass the bill, which will benefit millions of Muslim sisters. Meanwhile, members of All India Muslim Personal Law Board (AIMPLB) have met several party leaders urging them to not criminalise triple talaq. The fresh Bill to make the practice of triple talaq among Muslims a penal offence was introduced in Lok Sabha on December 17 to replace an ordinance issued in September this year. Under the proposed law, giving instant triple talaq, also known as talaq-e-biddat will be illegal and void, and will penalise the husband by imprisoning him for three years. The fresh bill will supersede an earlier bill which was passed in the Lok Sabha and pending in the Rajya Sabha. The government had last week informed the Lok Sabha that a total of 430 incidents of triple talaq have come to the fore through the media. Of these, 229 were reported before the Supreme Court judgment, while another 201 came to the notice after it. These cases were reported between the period of January 2017 and September 13, 2018. It is to be noted that the Lok Sabha had last week decided to take up the bill today after the Congress agreed to participate in the debate. The debate is likely to continue for four hours and as per reports, the Bharatiya Janata Party (BJP) has issued a three-line whip to its MPs to remain present in the Lok Sabha. The opposition has said that it would allow discussion on the bill without disruption.